Bright Club cracks open the New Year with a look at what’s going on inside us. 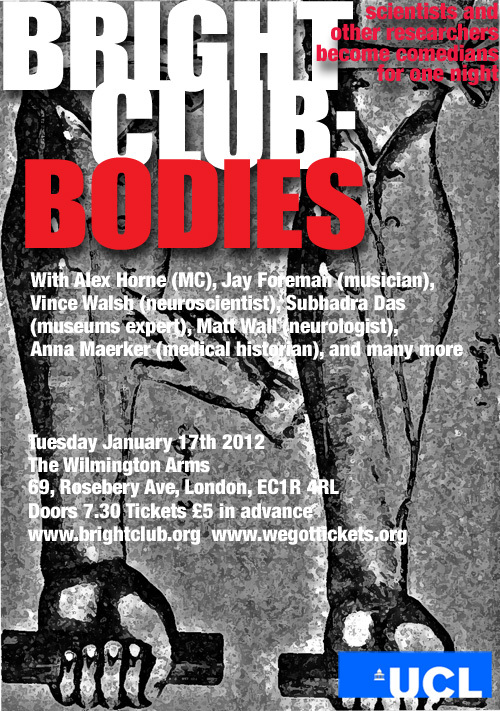 Join compere Alex Horne (http://www.alexhorne.com/), musical maestro Jay Foreman (http://www.jayforeman.co.uk/) and a selection of amazing scientists, medics and historians of medicine as they try to make sense of all the little bits of you. Doors are 7.30pm at the Wilmington Arms in Clerkenwell.